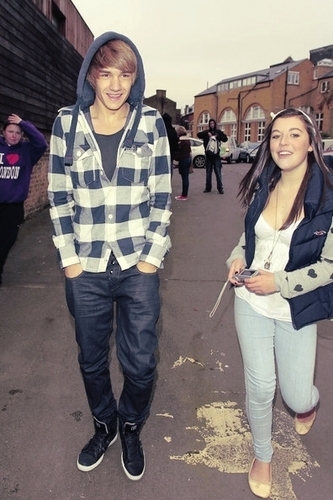 Goregous Liam Smiling Wiv A Fan :) x. . Wallpaper and background images in the Liam Payne club tagged: liam. This Liam Payne photo contains outerwear, overclothes, long trousers, long pants, and pantleg.